Apple’s anticipated March media event is expected to see the introduction of a number of new products. In addition to the first official unveiling of the mysterious iPhone 5se, Apple is also expected to introduce the iPad Air 3 along with a potential set of new Apple Watch band options. Now, in a research note to investors, Apple analyst Gene Munster is speculating that Apple will also take the opportunity to introduce an incremental improvement to its smartwatch in the form of an Apple Watch “S” upgrade. Apple has been expected to forgo any Apple Watch hardware announcements until later in the year. An improvement to the Watch, announced during March with a potential release in April, would represent a twelve month lifecycle for the first-generation product, but we really didn’t expect to see anything introduced at this event. Munster is suggesting that the incremental upgrade could see the release of slightly improved hardware, with a new generation processor, improved battery life, and a range of new internal components. Expect more of an ‘S’ version with similar design, upgraded components including processor, battery, new band styles. 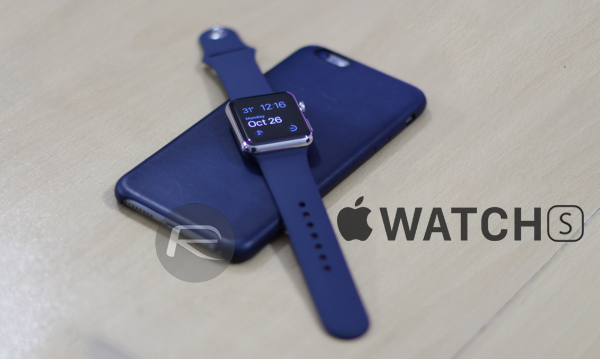 Speculation pertaining to the second-generation Apple Watch has focused on the potential for significant visual and performance improvements. If Munster’s prediction turns out to be true, then it looks as though that may not be the case. One of the most anticipated features of an Apple Watch 2 is said to be the potential inclusion of wireless radio that would allow the Watch to effectively function decoupled from an iPhone. This particular analyst’s prediction doesn’t believe that will manifest itself in March announcement. The March 15th event is heating up nicely for Apple and those interested in the company’s product roadmaps. The existence of a second-generation Apple Watch will definitely be of interest to consumer technology fans who have been waiting to see how Tim Cook and co take the range forward. With that said, it’s still this 4-inch “iPhone 5se” that will remain the center of attention when the event finally comes along. I will only buy one when it can operate free of the phone. And I mean GPS etc. No one wants to run with the 6 plus on their arm or flopping around in jogging shorts! I’m used to big things flopping around in my jogging shorts while I run – no bother to me.